What’s your favourite rain memory? Splashing into muddy puddles, sailing paper boats in the street or piping hot chai and snacks? This year, don’t just sit there in your cozy corner — get out and experience the magical monsoons. 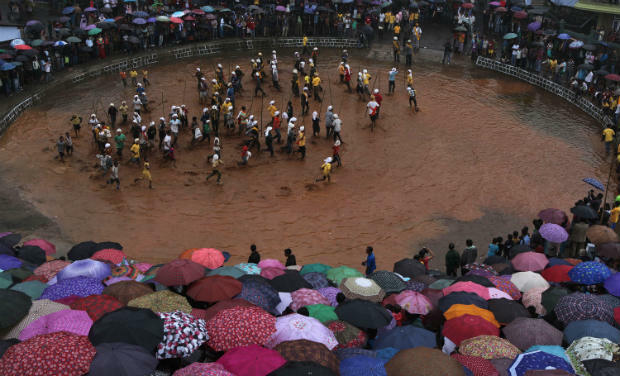 If you are travelling, check out these five traditional Monsoon festivals in different parts of the country. “Hareli” (literally “greenery”) is the Gond tribe’s celebration of a new farming season. As they pray for a good crop, you can head straight to the table and sample some local delicacies. On the Menu? Kanda bhaji, Kochai patta, Chowlai bhaji, Lal bhaji, Muthiya, Bore Bassi, Bohar bhaji and Kohda for the main course; Doodh fara, Bidiya, Bafauli, Kusli, khurmi and Balooshahi for desserts. 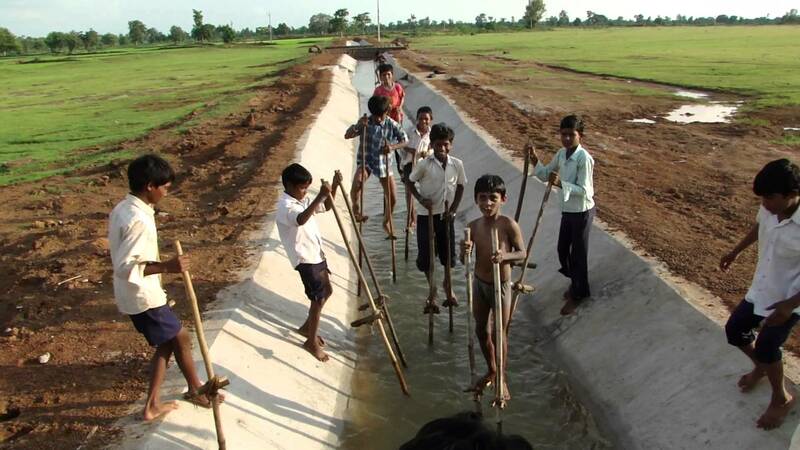 For entertainment, take front row seats for the Gedi race – the Gonda kids make walking on bamboo sticks look easy! A grand flag hoisting ceremony at Chaugan marks the week long celebration.The locals show up clad in silk with a stalk of Minjar attached to their garments – a promise for a good crop. Get your dose of entertainment with Kunjari Malhar of folk dance and music performances. There will be a procession of deities on chariots too. 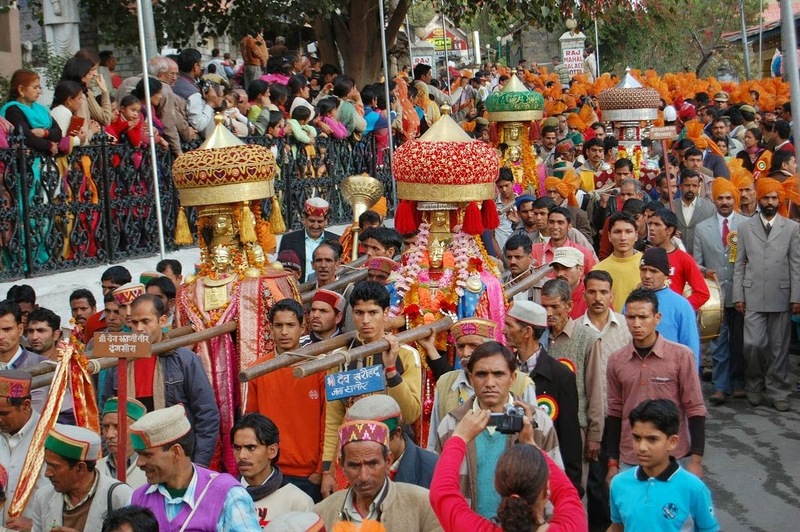 On the final day of the festival, a parade is also held from the Akhand Chandi Palace. The Apatani tradition of Dree is celebrated to appease the Gods and avoid famines. The festival centre is decorated with branded bamboos and community feasts are held here. Try the Dree Taku and wash it down with Dree O, a rice or millet beer. Another must-try and a beverage every household prepares is the Apong, a rice beer. It’s not all about eating and drinking though – Pri-Dances, Daminda and other folk dances along with folk song competitions like Dree Biisi ar not to be missed. 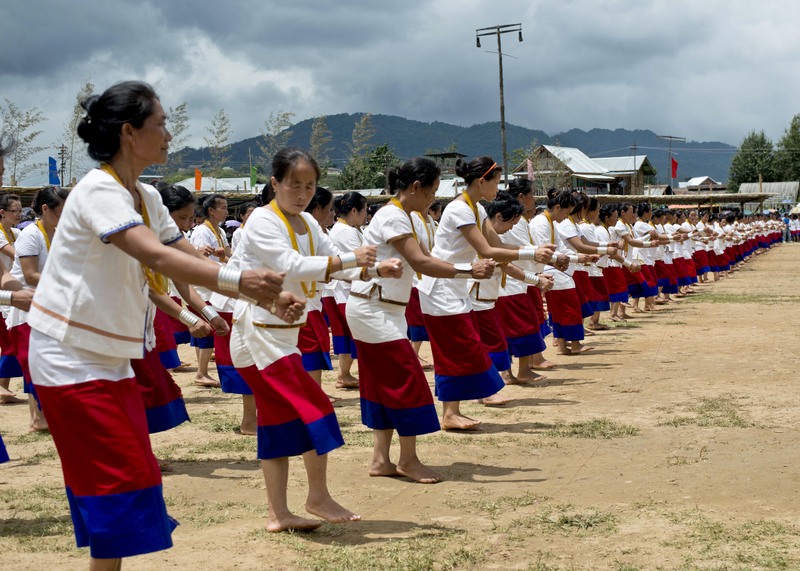 The Jaintia tribe at Jowai celebrates this festival to chase away the demon of cholera and plague. 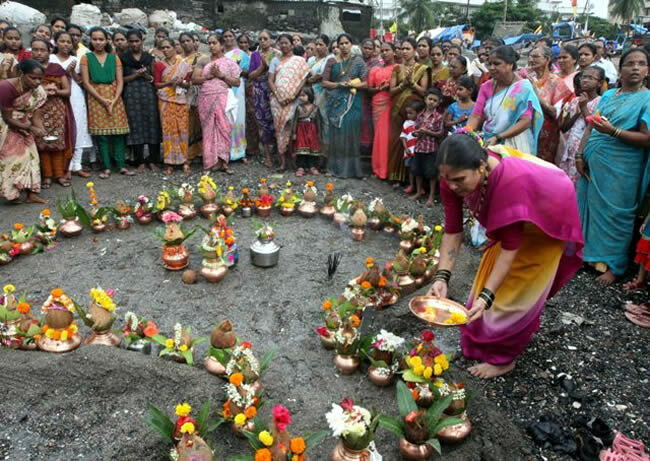 The men dance to the tunes of pipes and drums in muddy ponds, while the women prepare sacrificial food. Tall-decorated structures called ‘Raths’ are then brought into the pool. Later the celebrations turn to a game of a wooden football called ‘dad-lawakor’. Celebrated at the end of monsoon season, it marks the commencement of new fishing season.. People offer coconuts to the sea as a symbol of thanksgiving and adorn their boats with beautiful flags, paint and tiny oil lamps – a good scene for the cameras to capture. Pieces of broken coconut are given out as prasad. Don’t miss the festival dish – coconut rice – at a local’s home. 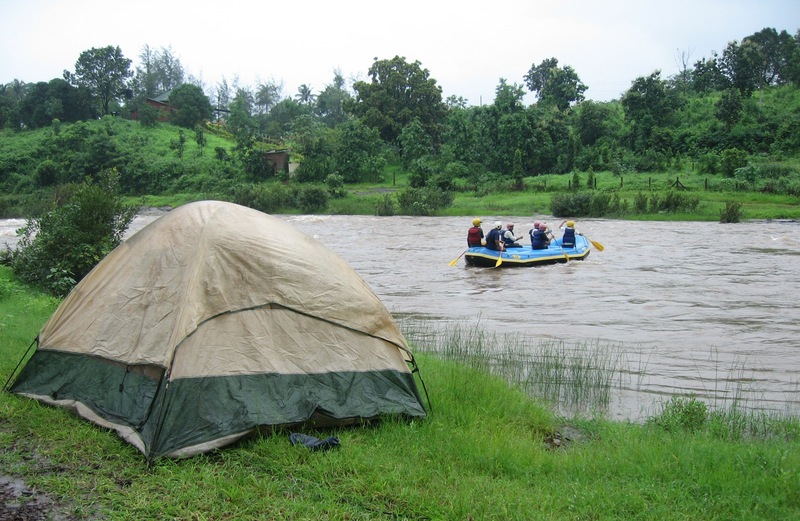 Got an interesting monsoon festival story to share? Tell us in the comments below. Q: Would you jump into a lake in your jeans? It was a wet monsoon afternoon. My favourite cousin had come over from Kolkata with his girlfriend, and we were catching up on old times over a hearty, comforting meal of Aloo posto, Mochar ghonto, Cholar daal and Doi maach. Out of the blue, my brother said, “How about we drive down to Binsar for a few days to enjoy the rains?” We have always been a tad partial to Binsar for its sheer, untamed beauty. The thought of rain-drenched silver-oak forests was so tempting! No electricity, just plain darkness and solitude in the middle of a forest called for a deep, spiritual experience. “Why not,” I thought. The weather was a seductress that year. The rain gods had been kind and Delhi gleamed a glorious green under dark rain-bearing clouds. I have always been blessed with gracious bosses, so I took the liberty of calling up to take the next couple of days off. We packed within 45 minutes and zipped out on the roads. The 10-hour long road trip hardly left a dent of fatigue in us. We were in high spirits, the weather was cool and driving on the rain-lashed roads from Delhi to the Himalayas was a trippy feeling. Occasionally I popped my head out to feel the gush of the wet, earthy wind kiss my face. How wonderfully it refreshed my soul and stripped me of my city stress! As we drove up the gorgeous Himalayas, the landscape changed colour and texture. The hard, rocky mountains lay wrapped in velvety robes of moss. As if that wasn’t glamorous enough, the sky seemed to play along, often bursting into a bright crimson contrasted against a dark, sedate grey. And then we saw it: high up on a mountain, a shimmering natural lake. 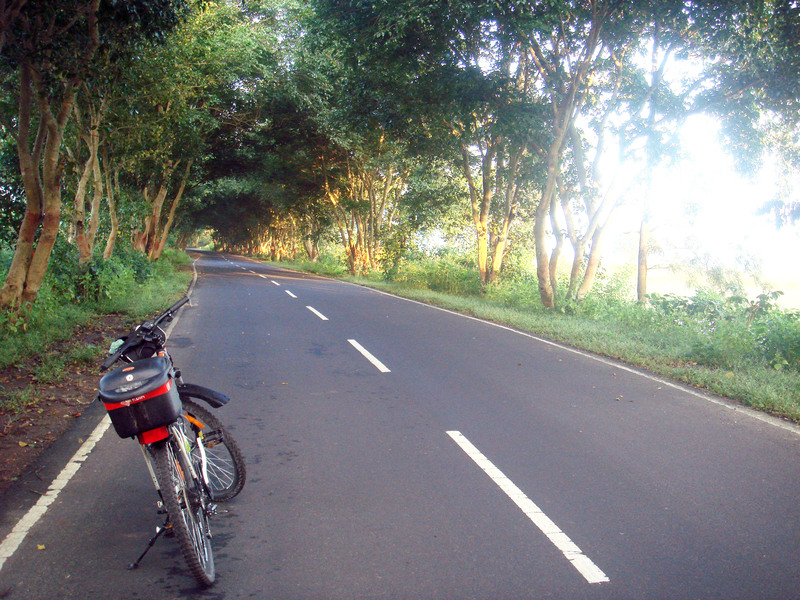 No name, no signboards and no tourists. It glittered like an emerald studded on the rugged mountains and thick forest that seemed to arch protectively around it. “We have to stop here,” I said. I wanted to be up there, I wanted to feel the water, touch it, be one with it. I wasn’t the only one with that thought—no sooner had I said the words than my cousin applied the brakes. We parked our car on one side of the road and started making our way through the dense oak forests, stepping gingerly on slippery wet leaves and parting the near-impenetrable foliage that layered the ground. Our footsteps were shaky and unsure. We didn’t know if it was a sensible thing to do. The forest was really quiet and the quietness was indeed intimidating. 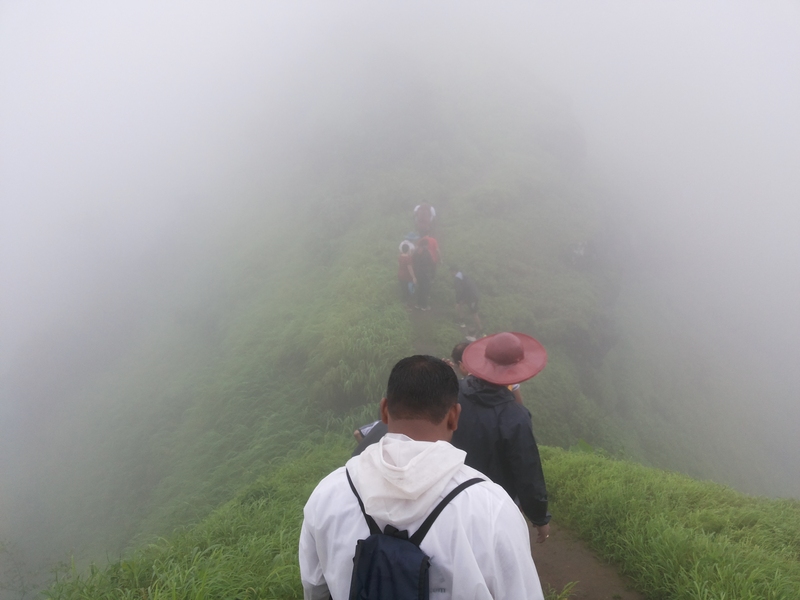 We all huddled close and just kept walking, making our way, treading carefully down the steep incline. It was mid-noon, yet our hearts skipped a beat, every now and then. The fear of the unknown and the possibility of a lone leopard lurking in the bushes made us nervous. After an arduous walk of almost an hour, we had our reward: there she lay, a wonderful, virgin mountain beauty! Hidden from the prying eyes of human beings, safely tucked into the laps of the mighty Himalayas. Shy and vulnerable, she commanded respect and dignity for herself. We spent hours sitting by the lake, awestruck by its magnificent presence. The snow capped mountains stood proud. The dark rain bearing clouds made way for a crisp, silvery light that illuminated the lake. We were spellbound. It was a jaw-dropping picture. Too soon, it was time to resume our journey. But we almost couldn’t bear to let go. So, we did something that was totally in the moment. Tempted to just feel her one last time, we all jumped into the lake and swam till the far end—with our clothes on!. Yes, we swam in the pristine, green waters along with fish and water snakes. It was the most exhilarating, liberating of all feelings. The initial touch of the cold water had a stinging sensation on the skin, but very soon it transformed into such a pleasurable feeling that we never wanted to get out. A free, boundless, infinite sky beckoned us to savour the feeling and seize the moment. Major attractions- in Binsar are the snow-clad peaks of Chaukhamba, Panchachuli, Nanda Devi, Nanda Kot and Kedarnath, which are clearly visible from the here. Bineshwar temple is dedicated to Lord Shiva. The temple was built by King Kalyan during 13 century and presents the brilliant architectural style of the erstwhile eras. The sanctuary is home to more than 200 species of birds and wild animals like the Barking Deer, Himalayan Bear, Leopard, Fox, Musk Deer, Langur, Porcupine, Panthers, Wild Boars, Monkeys, Flying Squirrel, Chital etc. An excursion to Bageshwar offers a chance to witness the mighty confluence of the pious rivers of Gomti and Saryu. The place derived its name from a popular temple-Bagnath. Devoted to the worship of Lord Shiva, the temple attracts thousands of pilgrims from different parts of the world. The divine temple town of Jageshwar houses one of the 12 Jyotirlingas found in India. 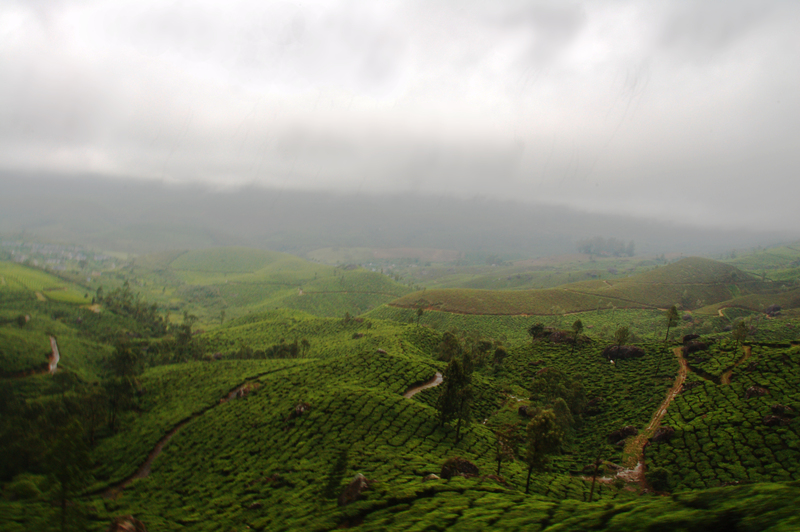 It is located on the Almora-Pithoragarth road, in the beautiful Jataganga valley. The grand temple complex, consisting of 124 temples is famous not only for its exquisite craftsmanship but also for being located amidst thick deodar woods which add to its fame. Binsar is located 152 kms away from PantnagarAirport. Daily flights connect Pantnagar with Delhi. Kathgodam Railway Station is situated 119 kms away from Binsar. One could reach Kathgodam from any of the major Indian cities like Delhi, Lucknow, Kolkata etc. Also, private cabs and local buses ply between Kathgodam and Binsar. 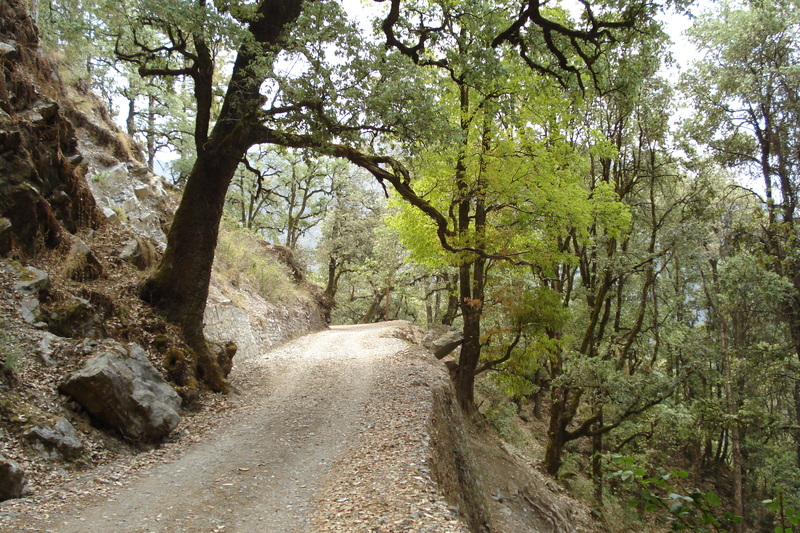 Binsar is well connected by motorable roads with major destinations of Kumaon and cities of northern India. Buses are easily available from ISBT Anand Vihar to Haldwani, Nainital, and Almora. Taxis are also available from major cities of Kumaon region and Garhwal region to Binsar. Binsar can be reached easily by car, taxi or by luxury bus coaches. Binsar has many stay options which include The Binsar Tourist Rest House, Mountain Resort- Khali Estate, Binsar Eco Camp, The Binsar Retreat, Grand Oak Manor, ImperialHeights and many more. 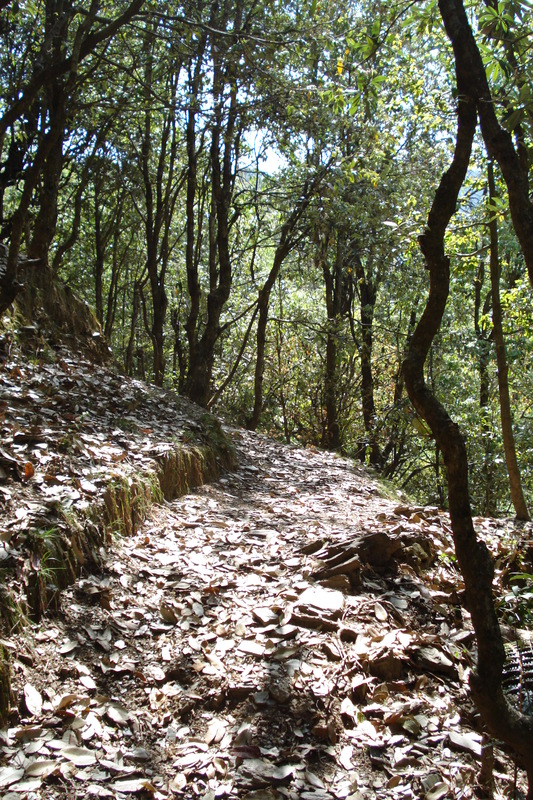 Binsar has a comfortable climate all year round. During summer, the temperature fluctuates between 25 degree centigrade to 11 degree centigrade, while in winter the temperature rises to a maximum of 15 degree centigrade and sees a minimum of 4 degree centigrade.